If you read our last blog you should recall the conversation surrounding young females and the declining rates in STEM. At Launch we strongly encourage young women to get involved in STEM education and we especially love to see females launch their careers in STEM! 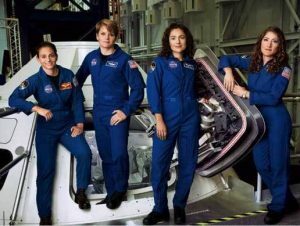 We saw recently that the for the FIRST TIME, NASA’s latest class is 50% female (Source: NY Times). Out of 6100 applications, the 4 women made the team of 8. We had to share this with you all as this is a major break through!